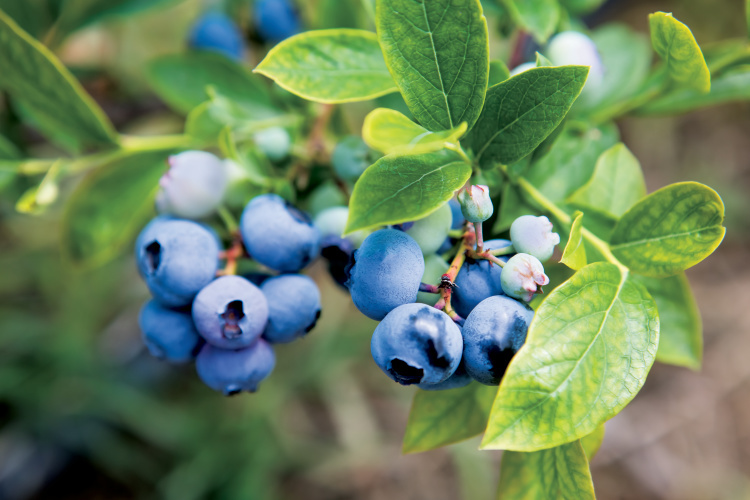 When Brittany Lee and her parents, Dennis and Carrie Lee, launched a commercial blueberry farm in Waldo in 2008, protecting the land was one of their primary goals. The Lee family’s blueberry operation, Florida Blue Farms, began with 50 acres on a converted timber tract and has more than doubled in size over the last decade. The family now grows 110 acres of large, sweet Southern highbush blueberries that are shipped all over the United States and the world. Their first harvest was in 2011, and in 2018, Florida Blue Farms harvested 800,000 pounds of blueberries. Brittany’s sister, Prentice, and brother, Adam, are also involved in the blueberry production. 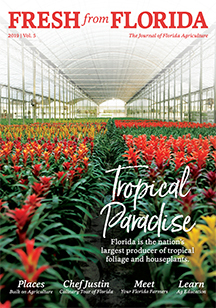 Florida Blue Farms has implemented multiple strategies to ensure they care for their land in the most responsible way possible. For starters, when the land was cleared, drainage issues were discovered. Dams were forming and creating unnatural flows, dumping large quantities of water onto new fields. The Lee family worked with a Gainesville engineer to create a state-of-the-art drainage system to better manage water flow throughout the farm. Their innovative design channels water flow into a two-acre tailwater recovery pond. The system cleans and filters the water so the Lees can reuse it for other purposes, conserving their water supply and reducing their overall water usage by 50 percent. 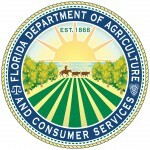 In addition, Florida Blue Farms implements the Florida Department of Agriculture and Consumer Services’ Specialty Fruit and Nut Crop Operations Best Management Practices. Their conservation plan includes weather stations for monitoring accurate on-site weather conditions; soil moisture monitoring; drip irrigation and ground cover to reduce irrigation needs; and plant tissue and root growth monitoring and testing to help them make wise decisions about nutrient and herbicide applications. Because of their commitment to protecting natural resources, Florida Blue Farms was a recipient of the 2017 Commissioner’s Agricultural-Environmental Leadership Award. The Lee family uses their blueberries in many ways, from eating them fresh to putting them in cobblers, pancakes, muffins, and most recently, making blueberry baby food for Brittany’s son, Jeb, who was born in 2017.